November 27th this year marked an important milestone in the different phases of ethnic relations in this country. For those of us who still retain the memory of the events of 40 years ago, it was like Deja vu. Students of the Jaffna University observed the Heroes’ Day within the University premises. The security forces invaded a female hostel, beat several students who protested the next day and the Terrorist Investigation Division (TID) of the Sri Lanka Police arrested four University students. Subsequently over 40 other youths have also been arrested and detained. None of them have been produced before courts, except one Medical College student who was released. They seem to have been detained under the provisions of the infamous Prevention of Terrorism Act (PTA). The Defence authorities say that these youths have been sent for ‘rehabilitation’ at their own request! It is important to assess these developments in the backdrop of history and we cannot but notice the forty year cycle. In the early 1970s the Tamils of this country were alienated from the national life in a very significant way. The supposedly autochthnous Constitution was created by a mojoritarian vote at the Navarangahala. Every single resolution proposed by the ITAK was defeated by the use of mojority votes. The ITAK then walked out of the Constituent Assembly, leaving behind the All Ceylon Tamil Congress MPs Thiagarajah, Arulampalam and Anandasangaree. 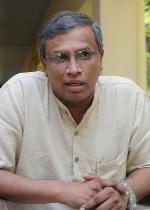 The ITAK leader S J V Chelvanayakam resigned his Parliamentary seat in protest and challenged the government to hold a by-election in order to demonstrate that the Tamil People endorsed their decision and that they rejected the First Republican Constitution. The government delayed holding the by-election by two years but when it was eventually held, he won with a massive majority. Parrall to this there were other developments that took place around this time. The standardisation practised for admission to universities ended hopes of tertiary education for the Tamil youth. Many of them were sent to the UK for higher studies by their parents after selling or mortgaging their lands. Frustrated by this alienation many of them started movements in the UK, which turned out to be first militant groups. General Union of Eelam Students (GUES) and Eelam Revolutionary Organisation of Students (EROS) are examples of these. Note that both of these were student organisations! The LTTE which emerged a little later must be seen and understood as part of this evolutionary process. In the mid-1970s the Tamil youth were radicalized, first by unfairly denying them higher education and then when they protested, mainly using democratic forms, by arresting them and incarcerating them under the then extant emergency law without charging them in courts. Over 40 Tamil youths were held without trial for over 4 years and were released only after they went on a fast unto death in the prisons just before the Non-aligned summit held in Colombo. Mavai Senathirajah, MP and the present General Secretary of the ITAK, was one of the those. But the most accelerated form of militarizing them was by sending the army to the North under ‘Bull’ Weeratunga to ‘crush’ ‘terrorism’ in six months. Groups of Tamil youth congregating at junctions in the evenings were rounded up, beaten mercilessly and detained under the PTA and tortured. Unable to defend themselves, many youths started joining the several militant organizations that had emerged and went under-ground. Several of them went to the middle east and were trained in guerilla warfare. They returned and engaged in hit and run attacks against the oppressive army. It was the large-scale violence that was unleashed against the Tamils in July 1983 that forced the Tamil youths in their thousands to join the different militant groups. This is an undeniable fact. This shows that Tamil militancy as seen post 1983 was a direct result of Anti-Tamil pogroms of the State. This is not intended to exculpate any of the militant groups from responsibility for the terror they themselves unleashed. But certainly the State played a significant role in bringing this about. Violence and counter-violence devoured thousands of Sri Lankans until May 2009, when the State used its military might to decimate not only the LTTE but also several thousand Tamil civilians for which it is still to be held accountable. After May 2009 there was no fighting between two forces, which gave the civilian population in the entire country some respite. Other forms of violence however continued unabated mainly against the Tamil civilians. Over a hundred thousand displaced persons are yet to be permitted to resettle in their original places; heavy militarisation continues with its attendant evil consequences; land grabs by the military and the continuing detention of hundreds of detainees under the PTA, etc, are but some examples of such violence. A government that brooks no dissent even in the South of the country, does not tolerate any form of democratic opposition in the North. Although there has not been a single act of violence against the State from the Tamil side as it were since May 2009, the government has continued to deal with the populace in an overly oppressive way. This includes the non-recognition of the democratically elected representatives of the Tamil People at the Parliamentary as well as local council levels in the development and other activities. If the imposition of the will of the majority on the Tamil People through sheer numbers was the form of oppression until 1970, it is actions that directly target the dignity and self-respect of the Tamil People, in addition to the physical violence that are being heaped on the Tamils is the form it takes now. This is exactly what was done 40 years ago and the cycle seems to be restarting again. Once again the target is the youth in general and the student community in particular. The replay of events 40 years later has significant similarities. Again just over 40 youths have been arrested and without being produced in court, are being held under the PTA and are even purportedly being given ‘rehabilitation at their own request’ at the Welikanda Army Camp. The fact that these detentions are wholly illegal somehow seems irrelevant to the government, which is focussed on trying to show the world that LTTE is now rising from the ashes. Ironically this is sweet music to the die-hard LTTE supporter! But in reality both sides are dragging the Tamil youth and the University students in particular down a slippery slope. The presence of LTTE flags at the joint opposition May day rally in Jaffna and other protest rallies, though laughable for their ameuterish attempts, is an indication of what the government is trying to portray. Astonishingly, the extremist forces within the Tamil polity are their greatest allies in this. The portrayal of the LTTE as having re-emerged may suit the different, if opposite, agendas of both sides. But it is one that will do serious damage to any meaningful reconciliation being achieved. Right thinking people in both communities must thwart this attempt; Tamil youth must not fall into this trap wittingly or unwittingly. We must often remind ourselves of the history if we are to learn from it. Unfortunately the only consistent lesson that history teaches is that no one learns form history! « Only a Man of Unsound Mind Would Have Picked a Woman of Criminal Persuasions to be the Country’s Chief Justice.